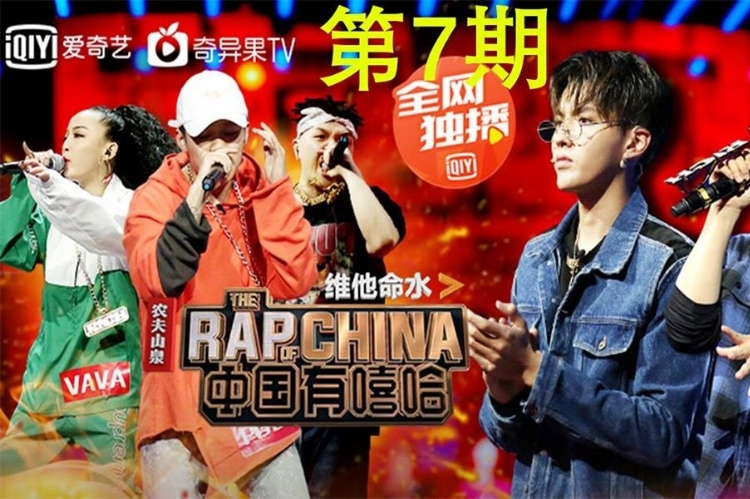 In the summer of 2017, China’s mainstream video streaming platform iQiyi released a very special singing contest, The Rap Of China. It was special, because the genre was largely a fringe artform in urban hubs, even though Taiwanese singer Jay Chou’s R&B influenced brand of hip-hop first entered into mainstream music more than a decade ago. But each of the 12 episodes of The Rap Of China—hip hop’s first appearance on mainstream TV—got between 200 and 300 million views. All of a sudden, music with a stronger hip-hop flavour became mainstream. At first, its rise was dismissed by the government as a ‘foreign-born’ homage, an inevitable by-product of the cultural globalisation of the noughties that saw Eminem and 50 Cent find their way onto the walls of Chinese middle-class bedrooms. Yes, there was the inevitable display of streetwear and bling posturing. Chou eventually launched his streetwear label PHANTACi. But there was something different about hip-hop in China. The lyrics often talked about overbearing parents, urban boredom and the desire to travel the world. Often sung in mixes of local dialects, Mandarin and English, Chinese hip-hop had a home-grown identity of its own and reflected the unique characteristics of the Chinese urban middle classes, striving for a new identity. Within the first few episodes, The Rap Of China had generated enough memes and trending topics to skyrocket to a hit. With celebrity judges, gruelling rules and participation from some of the biggest Chinese underground hip-hop stars, it wasn't long before the show’s key sponsors McDonald’s and Nongfu Spring’s Vitamin Waters upped their involvement by shooting fresh ads with popular contestants. Nongfu Spring’s Vitamin Waters picked Sun Baiyi, a Guizhou-born contestant famous for representing the voice of the urban Chinese white collar class. Their ad promoted the drinks’ energy-boosting properties (perfect for the 50-hour week) against a backdrop of hip-hop cool. But in January, the Chinese government stepped in. TV appearances by rap contestants on other shows were suddenly pulled. The State Administration of Press, Publication, Radio, Film and Television (SAPPRFT), declared that “actors whose heart and morality are not aligned with the party and whose morality is not noble” and who are “tasteless, vulgar and obscene” should not be on television. Beijing decided that hip-hop, as an entire culture, didn’t align with party values. And an entire culture that had been speaking to thousands (if not millions) was outlawed overnight. Although the hip-hop ban was heavily criticised by Chinese netizens (of course not in the mainstream media), the public had seen this before. But imagine planning and investing in a campaign wrapped around a culture, only to have it suddenly obliterated. In a market where government crackdowns can come out of nowhere, sending shockwaves through business and culture, brands may legitimately ask: What does this mean for strategy? How can you plan around such political and cultural uncertainty in China? Recent research by Flamingo and DDB examined strategies for dealing with uncertainty, finding ways to reframe it in a more positive light. One of these, the 'guide' strategy, calls for a brand to stabilise itself through a deep understanding of whatever issue it’s facing, followed by reframing and offering a clear message to customers. Here, a focus on long-term goals and messaging is best. In the case of the sponsors of The Rap Of China, one of them, Nongfu Spring Vitamin Water, did just that. Since the ban, rather than crying over the loss of a single platform, the brand revisited its brand pillars, encompassing a connection with creativity, youthfulness and motivation. The brand went on to sponsor other TV shows in the music genre and to hold inter-university singing contests. By encouraging consumers to look beyond the hip-hop trend and to think of the value of creativity more broadly, Nongfu Spring's cultural identity stayed in place, appealing to those who enjoyed buying and drinking the rainbow-coloured water. In the case of Chou’s PHANTACi label, it started out in sports fashion / streetwear rather than hip-hop, but since the show has borrowed elements of hip-hop culture to curate its products and brand. The Rap of China satisfied the curiosity of the Chinese public about a foreign culture. PHANTACi knows that, and since the ban has continued to curate a foreign culture to mass Chinese consumers. But it has suffered less from the ban since its original engagement with hip-hop music is shallower. Meanwhile, Chinese fans have taken hip-hop back underground since the ban, doing what they do best: playing cat and mouse with official censorship. A new mainstream show called This Is Street Dance launched, with production style that can easily be mistaken for that of The Rap Of China, including the stage, graphics and clothes that the contestants are wearing. While we don’t advise that brands play games with the government, we do feel that there is a bigger lesson to be learned from how Chinese culture deals with these occurrences. As a brand operating amid uncertainty, it’s wise to ask what was meaningful about your original engagement with this culture, listen carefully to your customers to understand the reasons that they valued that engagement, and look to your enduring brand values to harness this in the most effective way. In Nongfu Spring’s case, the brand understood that its engagement with music culture didn’t end with hip-hop. It survived, and even thrived, following the ban by staying close to its customers and not only understanding their need for alternative entertainment, but actually contributing to the creative culture. Hip-hop in China is not dead, it will just manifest in a different way. It will return to its roots for a while, but what will not change is the mindset of the culture that spawned it. The soft voice of the increasingly numerous and forever resilient urban middle classes. Frustrated with urban life and social pressures, they are still redefining their identity, and brands that recognise and continue to play to this, perhaps with fewer gold chains, will thrive amid uncertainty in China.